This Agreement provides legal terms and conditions of the website use or other sites of Life Care Corp. and Life Care products purchasing or those related to the Life Care business opportunity. Also, this Agreement contains information about the procedure for acquiring the Life Care Partner status. Accessing www.life-care.com, including all web pages and all information, data, texts, images and other materials included, Life Care Partner Manual or filling in the Registration Form according to the instructions displayed on the site, you confirm the acceptance of this Agreement and the continuation of understanding its terms and conditions. If you are not satisfied with the site, the Life Care Partner Manual, the terms and conditions below of the provisions of the Registration Form, you have the option to cancel the registration procedure and stop use Life Care Corp. company's site. This application is addressed to S.C. Life Care Corp. S.R.L. a Romanian legal entity, with the premises in Chisoda, DN 59, Km. 8+ 550 m, LEFT SIDE, Timi? County, with the registration code in the Trade Register no. J35/1827/2005 and CUI 17639166, telephone/fax +4.0256.274039 (number with normal tariff in the telephone networks in Romania), fax +4. 0256.274039, mail: office@life-care.com and become automatically part of the Agreement concluded with Life Care Company, according to the provisions below. The application has been filled in online. Signing this application represents the confirmation that the Applicant has read and agreed upon all conditions presented and those from the "Life Care Business Manual" in force, published on www.life-care.com site, and the fact that all data filled in above are part of the Life Care database. I. These conditions together with the Registration Form filled in online, correctly, by the Applicant partner and accepted by S.C. Life Care Corp SRL represent the will agreement in for the cooperation relationship of those two parties. These conditions along with every specific order represent an agreement concluded at distance, according to GD no. 130/2000, Law no. 365/2002 and the European Parliament and Council Directive no. 97/7/EC from 1985. The Agreement is considered concluded when S.C. Life Care Corp S.R.L. confirms the order sent on-line by the Life Care Partner. II. S.C. LIFE CARE CORP SRL sells all the products listed in the catalog displayed on site, with the features and prices mentioned in the catalog. Catalog prices are valid for the Ron/Euro exchange rate in force at the date of catalog publishing. In case of some variations of the exchange rate bigger than 5%, please contact Call Center Life Care Corp. Department tel. +40.256.22.88.33 (number with normal tariff in the telephone networks in Romania), or visit our site. Payment can be done through electronic means or in cash on delivery system. All the promotions conducted by S.C. Life Care Corp SRL according to the legislation in force, are published on www.life-care.com site in the "Promotions" section. Promotions are governed by the specific rules that separate from the Agreement. Products given as a GIFT do not bear PVA (products given as GIFTS have 100% reduction both in price and PVA). By participating to any such Promotion, you agree to abide by those rules, which may different from the terms and conditions established through this Agreement. In case of a conflict between the terms and conditions of a Promotion and the present "Terms and conditions", the terms and conditions of the promotion shall prevail. The Buyer (Life Care Partner) has the right to notify in writing the trader that he waives the purchase, without penalties and without giving a reason, within 10 working days from receiving the product. The products are returned in their original shape, without being damaged, together with the return slip or with a photocopy of the invoice, on our address. The return is done through a parcel (not in a registered letter) with acknowledge of receipt. When returning goods please announce in advance our Customer Service at the telephone number +40.256.22.88.33 (number with a normal tariff in the telephone networks in Romania). In case of unilaterally terminate of the Agreement, the cost for goods return shall be borne by the buyer/partner. In case of advance payment, the counter value of the return goods shall be paid in maximum 30 days via postal/payment order. 1. S.C. Life Care Corp SRL designates the person who fills in the Registration Form with the qualification as Life Care Partner and he will accept this qualification. The Partner will be able to buy, resell and distribute products sold by S.C. Life Care Corp SRL, only in conformity with the Romanian legislation in force. 2. Life Care Partner, as a buyer, can purchase S.C. Life Care Corp SRL products without concluding an exclusivity Agreement and can guide (sponsor) other partners. The Partner, as a buyer, has no right to sell S.C. Life Care Corp SRL products in shops and/or on-line. If he resells the products he does this on his own responsibility and only under the Romanian legislation in force. 3. S.C. Completed orders cannot be changed by the partner (can be canceled within 10 minutes mentioned above). 4. Cooperation between Partners and S.C. Life Care Corp SRL cannot be qualified as an individual or collective labor relation. In the same time, the Partner, in carrying out the activities agreed in the cooperation relation, will not have the capacity as an agent, commission agent, broker, supply agent or representative of S.C. Life Care Corp SRL. 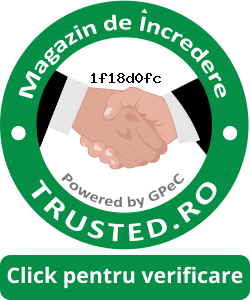 The Partner will buy and (re)sell S.C. Life Care Corp SRL products in his capacity as an independent seller, acting in own name and personal interest, only in places and through the methods accepted by the "Life Care Business Manual", "Ethical Code of the Partner" and only observing the Romanian legislation in force. 5. Cooperation starts from the date of acceptance the offer by S.C. Life Care Corp SRL worked out by the Partner as the Registration Form. The proof of achieving the agreement, respectively the acceptance of the offer by S.C. Life Care Corp SRL is the assignment and activation of the Life Care Partner Code for the person who completed correctly, online the Registration Form, finishing this procedure. The User and the password supplied to the partner by the company are confidential data, protected inside the company. In case of damages caused by their disclosure even by the partner the company assumes no responsibility. 6. Cooperation is concluded directly between the Partner and S.C. Life Care Corp SRL and the rights and obligations arising from this relation cannot e transferred by the Partner/Partners to a third party without prior written consent of S.C. Life Care Corp SRL. Each signatory party will pay individually the taxes and duties owned to the state bodies. 7. This Agreement is a frame contract which is concluded starting with the date of allocation by the Company of Life Care Partner Code, to the person who fills in the Registration Form and finishes this procedure. Orders of products finished and placed by the partner – on-line and/or by phone - become annexes to this Agreement. S.C. Life Care Corp S.R.L may decide termination of this cooperation anytime, with 7 days’ notice, without obligations subsequent to this date towards the Partner. 8. The relations between the Partners and S.C. Life Care Corp SRL will be governed by the rules accepted by these ones by acknowledging the "Terms and conditions", respectively the provisions from "Life Care Partner Manual". S.C. Life Care Corp SRL reserves the right to change the content of the "Terms and conditions” and "Life Care Partner Manual". In case they occur, the changes will take effect once they are published on the website: www.life-care.com. 9. This Agreement shall automatically be terminated, without the necessary involvement of a court, in the following cases: abusive exercise by the partner of any of the rights granted to him through the provisions of "Terms and conditions" section, Life Care Partner Manual and/or according to the Romanian legislation applicable, in force; bringing insults to Life Care Corp. Company or its employees; Partner's refusal to comply with the general rules of the partnership set out in the " Life Care Partner's Manual "; supply of false information by the Partner in order to mislead the company and/or third parties; failure to submit any order on the assigned code with 30 calendar days; perpetration by the Partner of one or more unlawful acts; the Partner acts in justice, claim to one of the state control bodies or other institutions (even organizations) aspects that may bring image or financial damages without being communicated in writing to Life Care (and to which the company has not an answer within 30 days). Starting with October 1, 2014, failure to submit any order on the assigned code within 180 calendar days anytime during development of the contractual relations, from the date of issue the last invoice by the company, means payment of a reactivation fee at the first order in the value of Ron 4.99 plus the related 24% V.A.T. Termination of the Agreement for any reason implies the annulment of all the rights under this Agreement. Any charge remains in the system for 12 calendar months. The charge not invoiced within 3 months may be used in the following 9 months only in products. The minimum invoiced amount is Ron 100 (excluding V.A.T.). In the lower area of the site (footer) the following text: "This is a site independent of the Life Care site and any information presented on this site does not involve Life Care company or its employees. To visit the official website of Life Care company visits also www.life-care.com"
1. In the upper area of the site (header), the following text: "This is a site owned and run by the Life Care independent partner/distributor: __________________________ ". The lack of these texts leads to the termination of the Partner's Agreement who uses the data of that site, and of the Partner's Agreement who owns the site (if they are different). 5. Use throughout the site, for promotion, the expression "The company with which I cooperate – Life Care Corp - …..” and not only the company's name or other words and expressions which could mislead the visitors in the sense of confusing the agreed company that holds the site with Life Care company. • ask the permission of the company prior registration of these sites. Delivery is within 48 hours, from the date of taking your order. This term is indicative and could be changed beyond our control. In case one or more of the products ordered are no longer in stock, you will be notified in this regard. The products are delivered within the limit of the available stock. Information about products and prices are presented under the reserve of misprints. The prices of the products indicated in catalog are not changed during the validity of the catalog unless the variation of EURO/RON exchange rates bigger than 5%. Any change in price will be listed on www.life-care.com site and will come into force from the date of publication. Delivery terms are according to INCOTERMS, respectively CIP (COST INSURANCE PRICE). The delivery costs are those listed on the site, in the corresponding section. The listed prices as well as the additional costs/fees are with VAT included. The products ordered will be delivered at the delivery address by a courier company. In compliance with the provisions of Law no. 677/2001 respectively Directive 95/46/EC, S.C. Life Care Corp SRL is registered at ANSPDCP under number 10179/2008 and will process and use personal data without any other obligations or payment by his customers, exclusively for the shipment of the ordered products and for direct marketing actions. Through the orders you place you agree expressly and unequivocally that your personal data to be processed by S.C. Life Care Corp SRL. The data given in the order form allow us to keep you updated with our activity and will not be disclosed to third parties. S.C. Life Care Corp SRL guarantees the observance of your rights conferred by Law no. 677/2001 concerning personal data processing, art.12-18, and Directive 95/46/CE, as the person concerned: right to information; right of access to data; right to change the data; right of opposition; right not to be subjected to an individual decision; right to go to the court. These rights may be exercised through a written and signed application, sent by port to the address: S.C. Life Care Corp SRL, PO Box 284, Post Office no. 1, Timi?oara, Romania. STATEMENT: The partner accepts, in his capacity as Life Care Partner the following statement: "In compliance with the provisions of Law 677/2001 and Directive 95/46/EC, I do agree that my personal data and those of the company I represent, contained in this statement, to be processed and entered in the database of S.C. Life Care Corp SRL. Processing of data refers to: collection, registration, storage, alteration, retrieval, erasure, transfer of data to other branches or subsidiaries belonging to S.C. Life Care Corp SRL as well as sending of these data to upper levels in the network. The database automatically becomes the property of S.C. Life Care Corp SRL. The Partner may request in writing, once with the termination the removal of his personal data from S.C. Life Care Corp SRL database. These clauses are considered agreed once with filling in online the Registration Form. Your access/visit of this website is subject to the Terms and conditions of use, involves your explicit acceptance regarding these ones and represents the whole agreement (contract) between parties. Life Care Corp cannot guarantee the permanent availability and functionality of the Site. Life Care Corp dos not assume any responsibility for the correctness and completeness of the information listed on the Site nor for display mistakes. In case there are errors, or if wrong data was entered into the database, Life Care Corp cannot be held responsible. Also, Life Care Corp assumes no responsibility for use of www.life-care.com under false identity or for the alteration of you information by someone else using your identifying data. Life Care Corp grants permission, revocable and non-exclusive to create hyperlinks to Site pages as long as these links are not used in a context that would describe Life Care Corp in a false, wrong and insulting manner. The license granted will not allow the association of life-care.com brand with other brands or third names or use of life-care.com brand for own promotion without the prior written consent of Life Care Corp. The content of the Site, in whole or in part, may not be reproduced, duplicated, copied, resold or used for any other commercial purposes without the prior written consent of Life Care Corp. The Site is provided by Life Care Corp as it is and as it is available. Life Care Corp nu does not guarantee that the Site, the servers on which is hosted, or the e-mails sent from www.life-care.com addresses are without viruses or other informatics components with a potential damaging character. The user runs the Site on his own risk, Life Care Corp being free from any liability for any direct or indirect damages caused by Site use or access/visit or due to use of information on the Site. Life Care Corp is not liable for the errors or omissions that may occur in writing or presentation of materials on the Site. Life Care Corp does not provide any guarantee for the content and use of this Site. Run of unauthorized operations on this site and attempt to perform such actions, including: abusive use, fraudulent use, unauthorized access, alteration, copying of information for their marketing, access blockage, and so on, will be punished according to the law. The users of the Site may send comments, notes, suggestions, ideas or remarks on the content and structure of the Site, respectively may address questions as long as their content is not illegal, obscene, threatening, defamatory, that can affect private life, intellectual property rights of Life Care Corp or other third parties, and does not contain viruses, run political/election campaigns, commercials requests, chain letters, mass mailings, or any other form of spam. You cannot use a false e-mail address or impersonate another person or entity. Life Care Corp reserves the right, but not the obligation, to remove or edit such information submitted. By sending such information, unless otherwise specified, give Life Care Corp the license / the free, nonexclusive, perpetual, irrevocable and sub-licensable right to publish on life-care.com site. Declare on oath and warrant that you own or control all rights regarding information submitted, that these information are correct and their use is not in contradiction with the Terms and conditions of use, that they will not cause damages to a third party and you will indemnify Life Care Corp or its partners/affiliates wholly for all the claims resulted from the information submitted as such. * a notarized statement under oath according to which you act in good faith, that the notification is complete and correct and you are the owner of the rights or you act on his behalf.